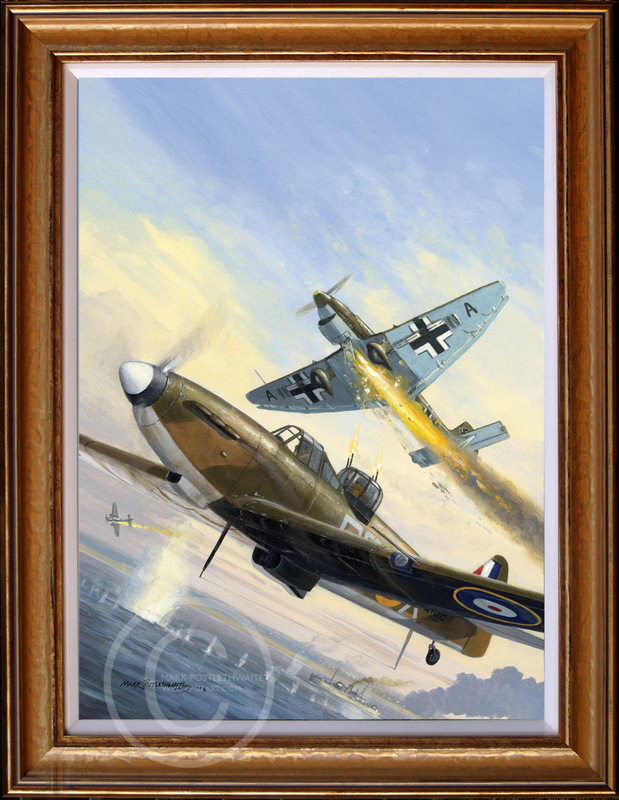 Flt Lt Nicholas Cooke and Cpl Albert Lippett shoot down a Ju87 Stuka off Dunkirk on 29 May 1940. They were flying a Boulton Paul Defiant L7005 PS-X of 264 Squadron. In an intense two weeks of combat, this crew claimed a dozen victories before being posted missing over the Channel on 31 May 1940. This is the original painting for the cover of Osprey’s Defiant, Blenheim and Havoc Aces.